We were out in Riverside, California again and went birding with some people at UC Riverside. One of the highlights for us was the red-shafted northern flicker. We get the yellow shafted in NJ. 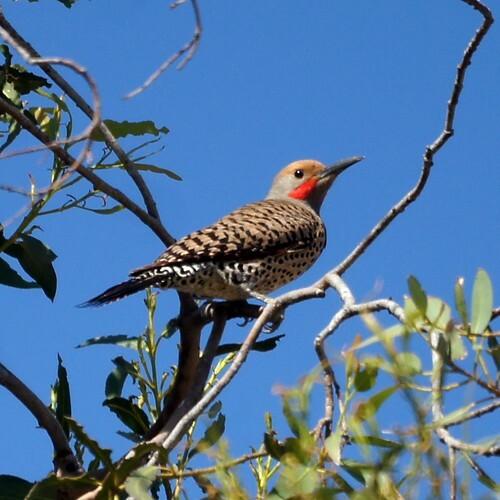 The Red-shafted Northern Flicker lives in western North America. They are red under the tail and underwings and have red under their tail. Males have a red moustache. 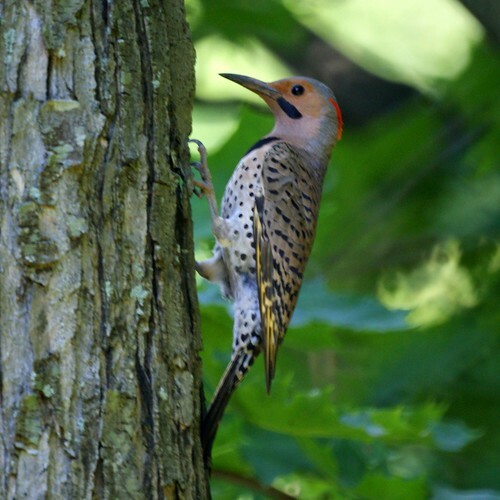 The Yellow-shafted Northern Flicker lives in eastern North America. They are yellow under the tail and underwings and have yellow under their tail. Males have a black moustache.